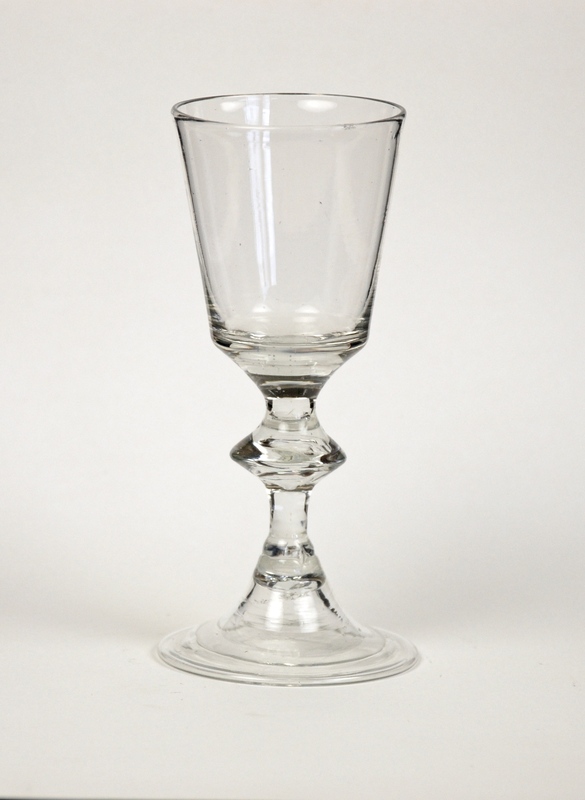 Remarks: This is an early 17th century Facon de Venise goblet from France in a classic shape. 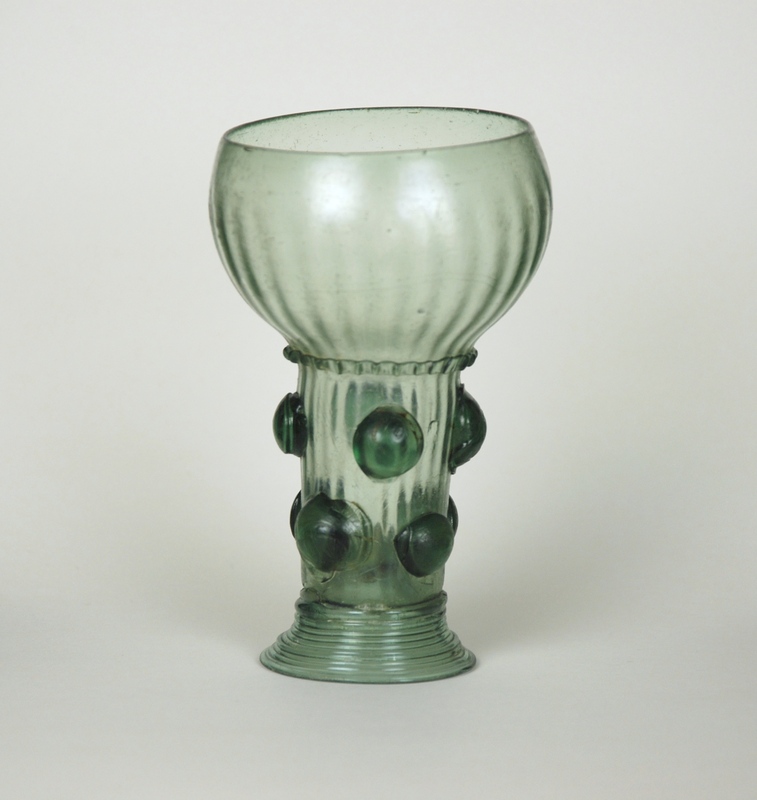 The glass has a trumpet-shape bowl with a broad mouth a hollow knop and inverted baluster stem on a flat circular foot. 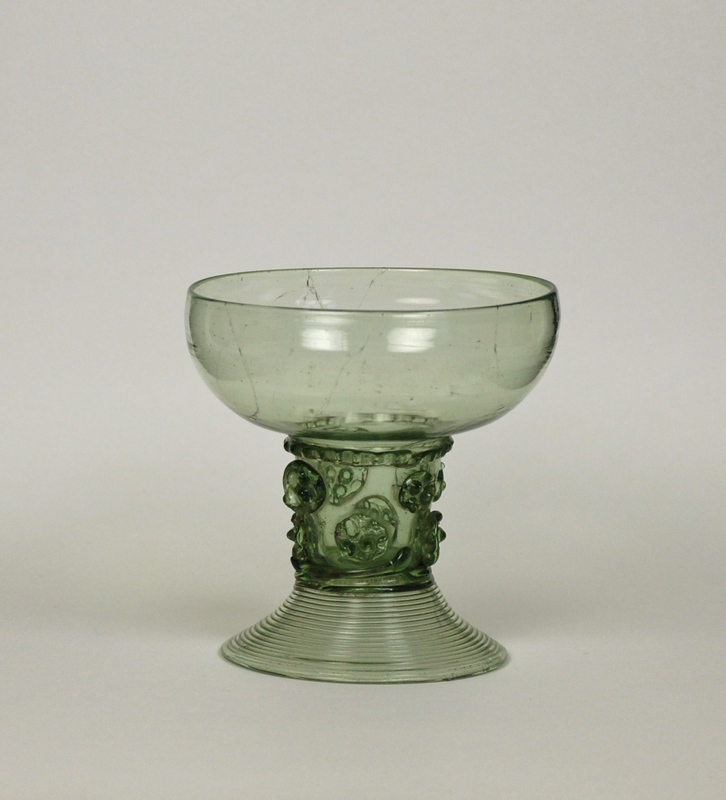 This is a wine glass with bucket bowl on inverted baluster and base knop, with folded foot. 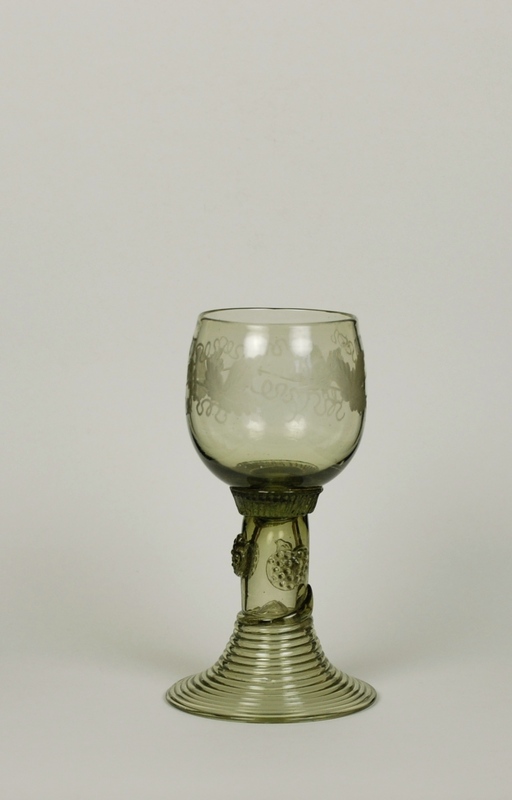 Made of lead glass. 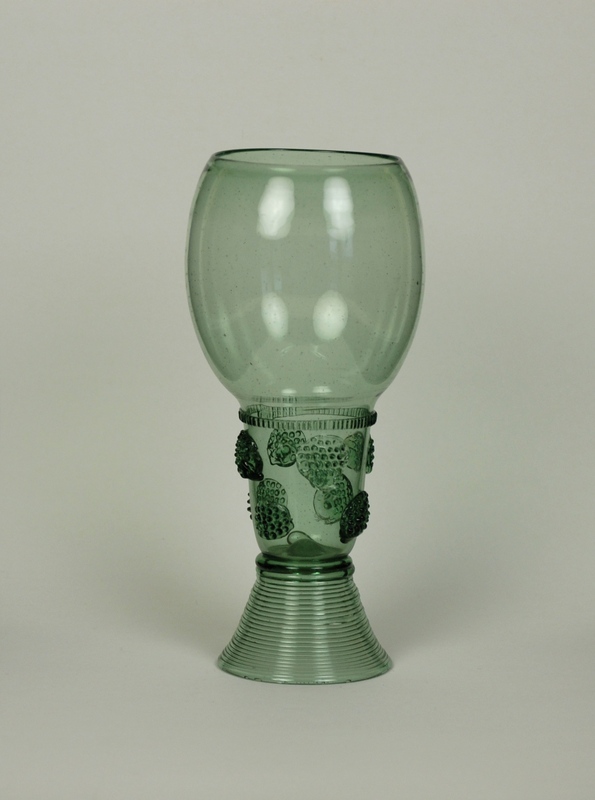 Baluster Wines are a large group of beautiful and well designed glasses. 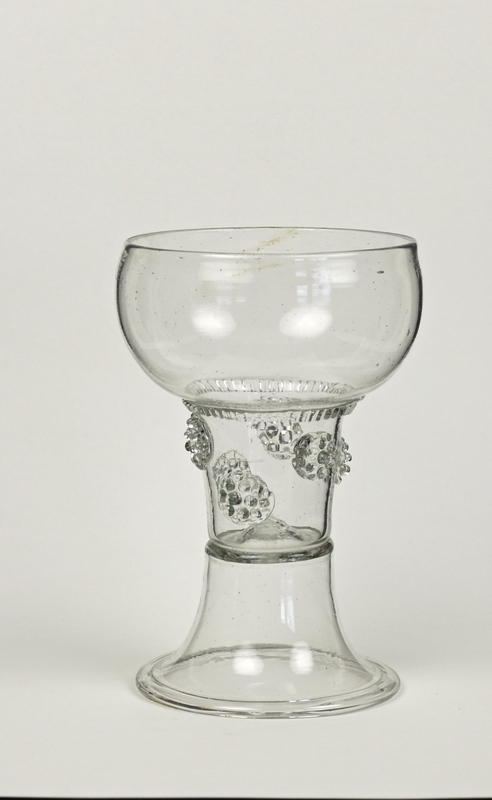 The goblet has a double-walled bowl on a narrowing stem applied with a pincered collar. 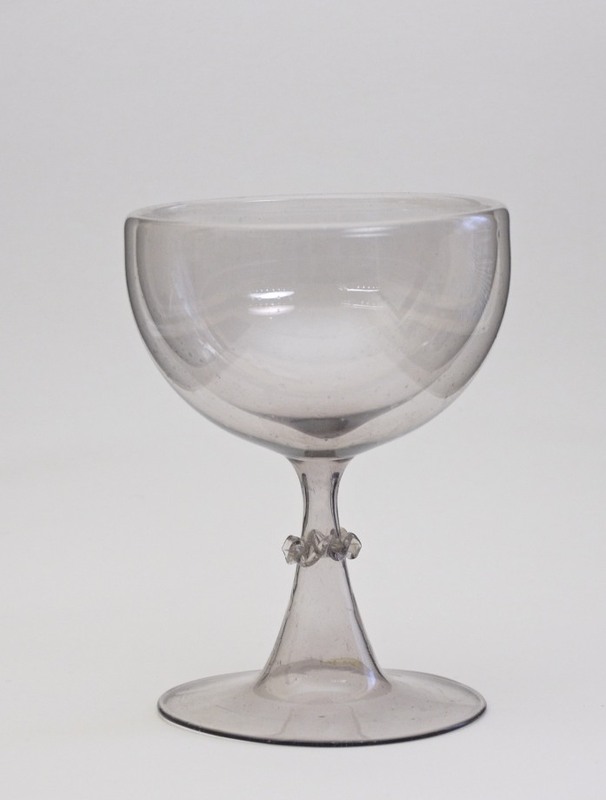 The glass has a grayish-lilac tint. 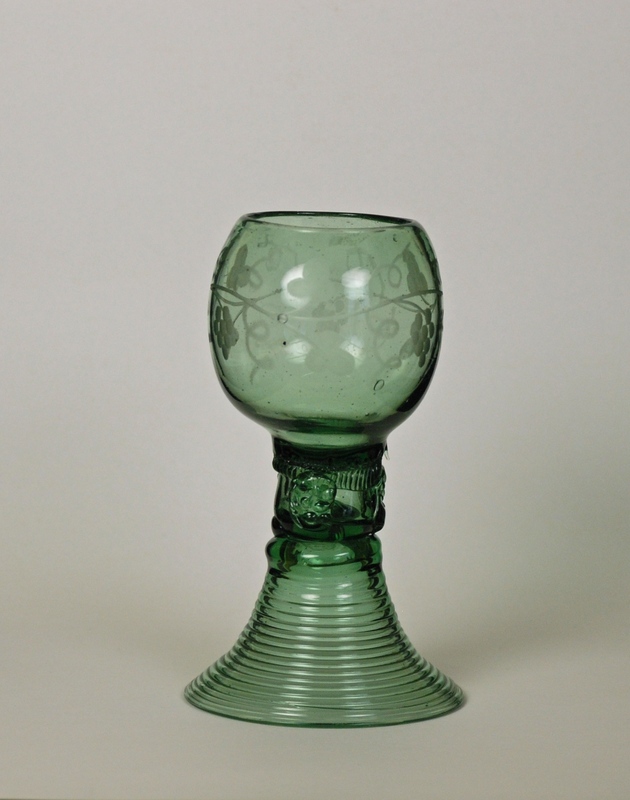 It is called a trick glass because the inside bowl can be filled with wine through a small hole in the stem; the hole is then plugged with wax. 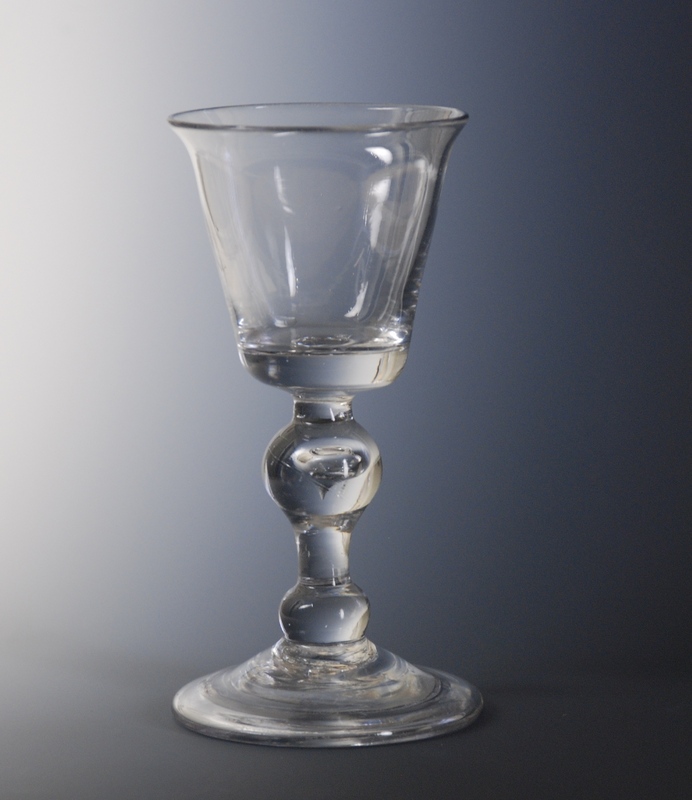 A person could seem to drink all night without the glass becoming empty. 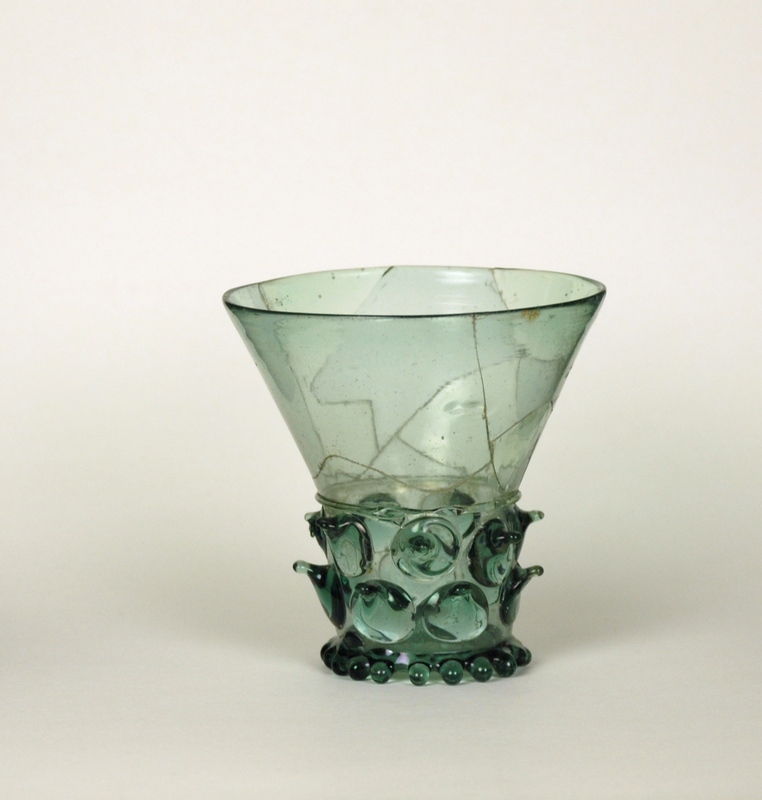 Or a person could go up to someone and pretend to spill it and nothing would happen. 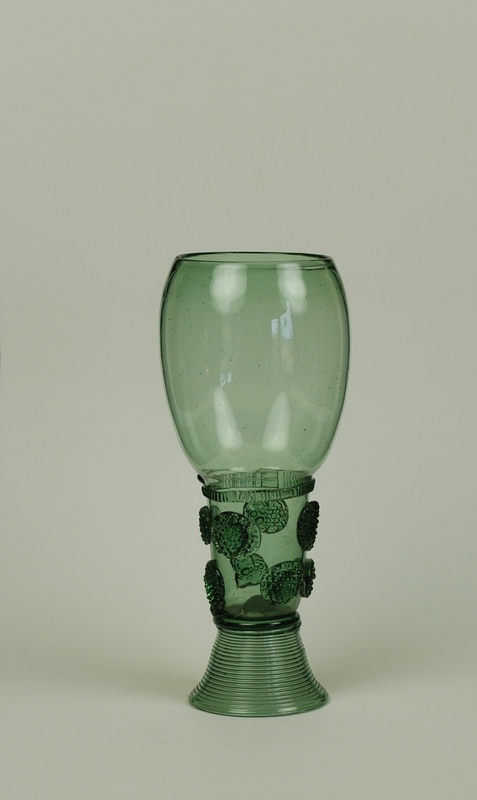 A similar trick glass is known from the 4th Century of the Roman period. 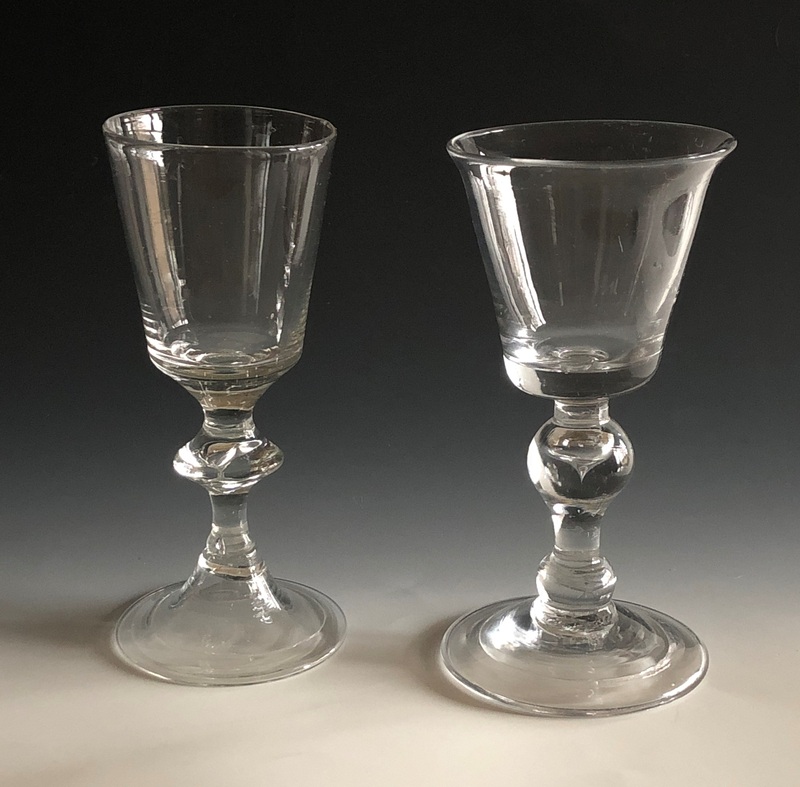 Origin & Date: Venice or Tuscany, 17th century. 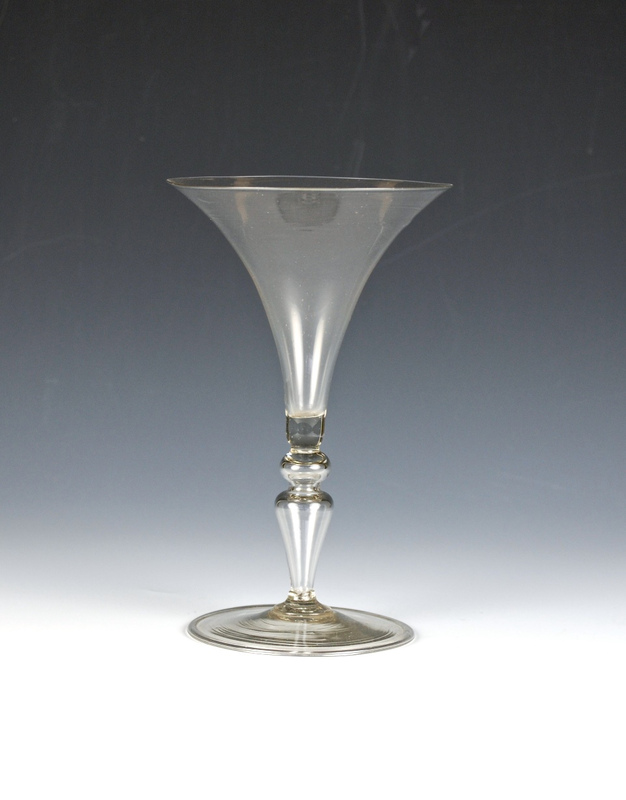 Cantir of yellowish glass decorated with opaque white trails called vetro a fili. 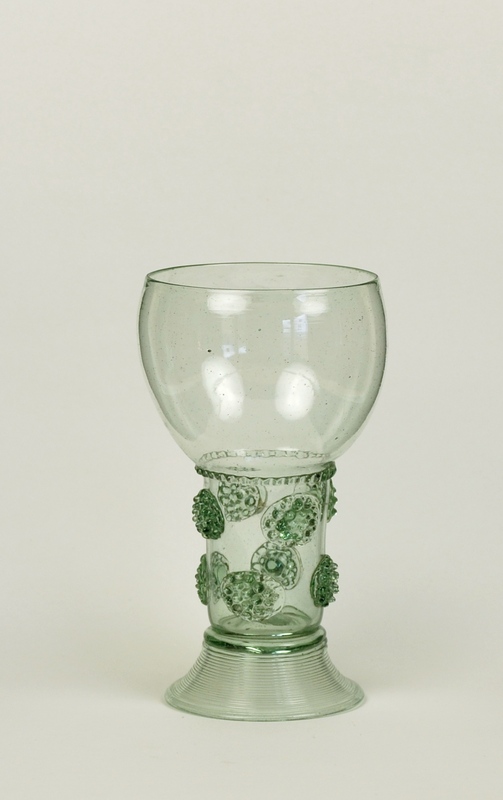 Glassmakers in Catalonia, Spain were producing decoration of this type from the middle of the 16th into the 17th Century. 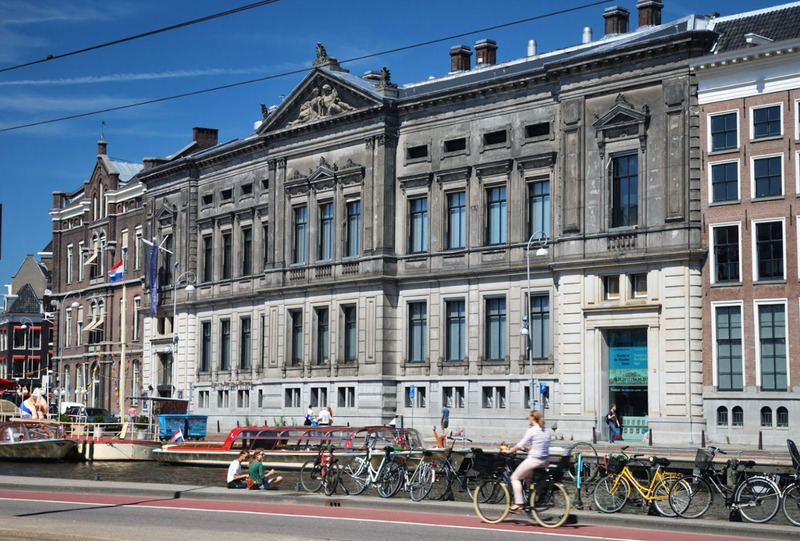 The Allard Pierson Museum is the archaeological museum of the University of Amsterdam, NL. 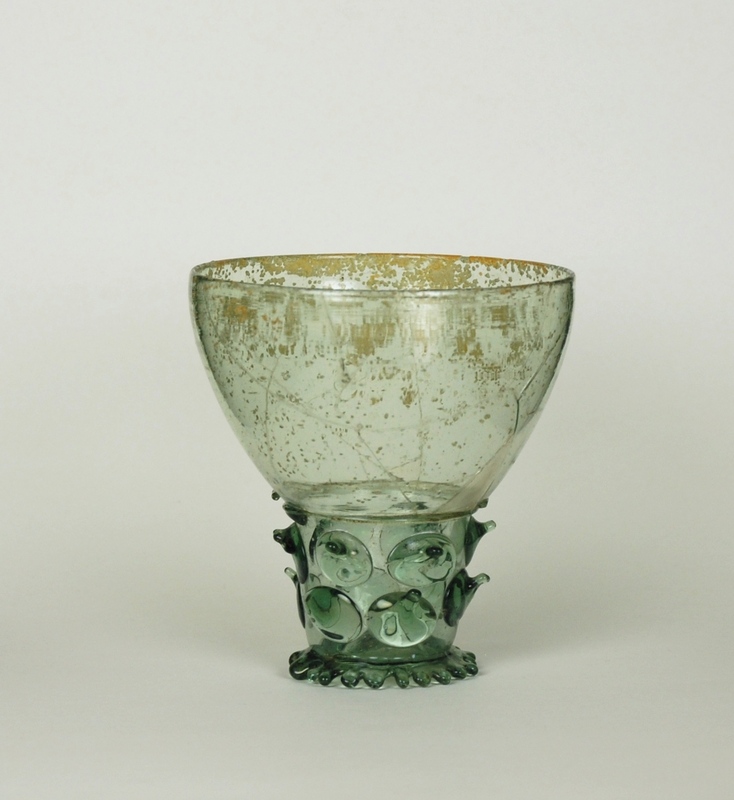 Artifacts from the ancient civilizations of ancient Egypt, the Near East, the Greek World, Etruria, and the Roman Empire are all curated and exhibited in this museum. 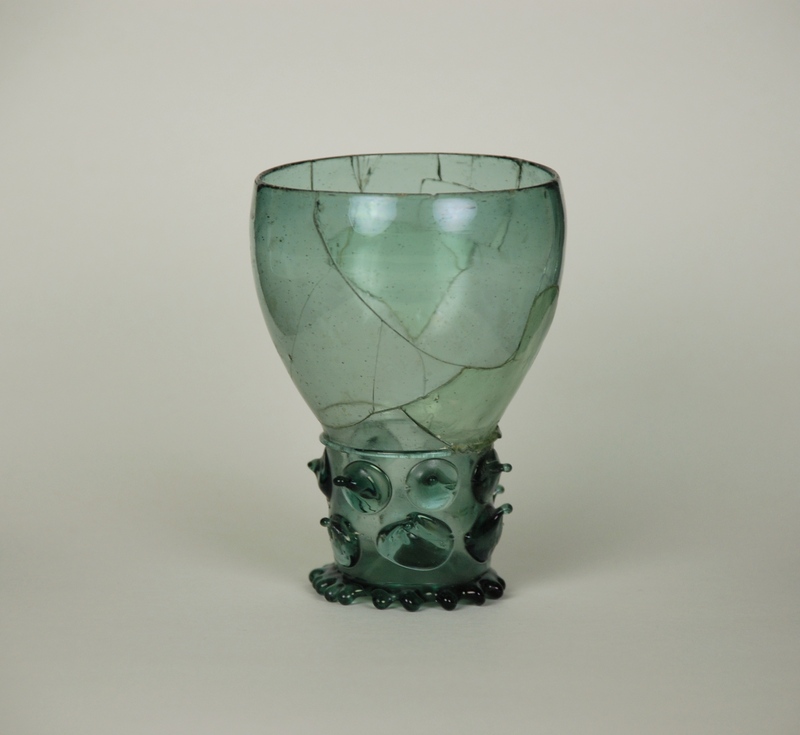 Below are examples of their large and varied ancient glass collection. 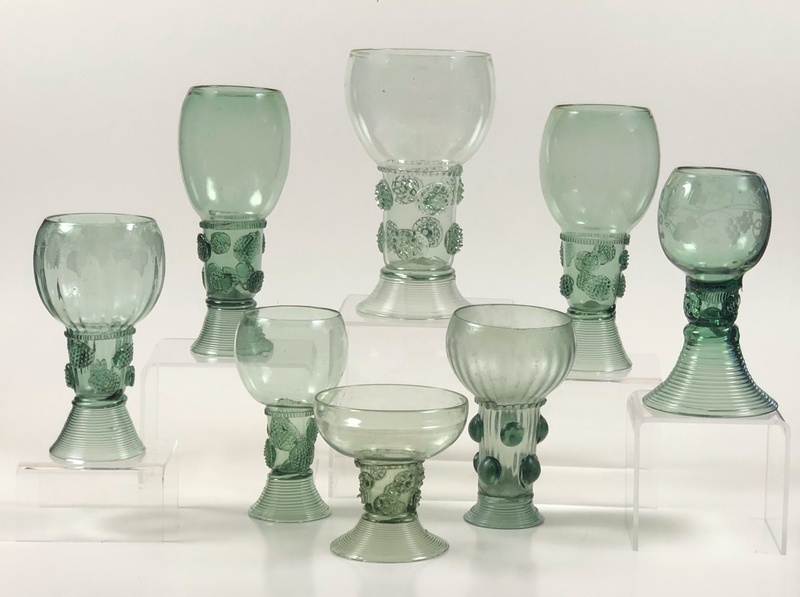 The objects below belong to a rare group of vessels made by casting in multipart molds by various methods, then meticulously ground and polished using lathes, abrasives, and hand tools. 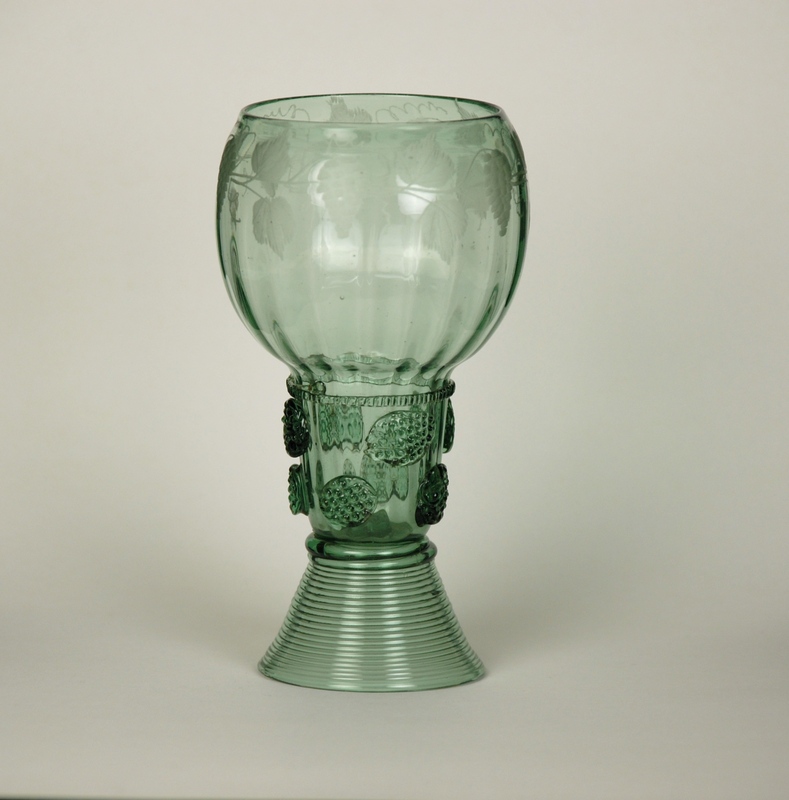 Some are decorated with lathe cut bands of grooves and ridges. 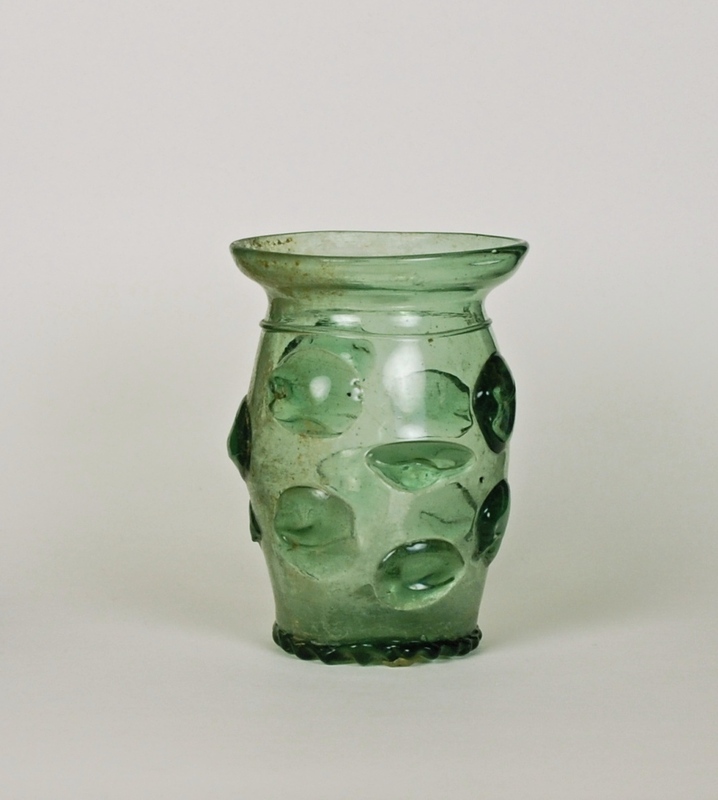 This is a Roman glass pitcher with a pear-shaped body tapering into a slender neck with contrasting dark green coil. 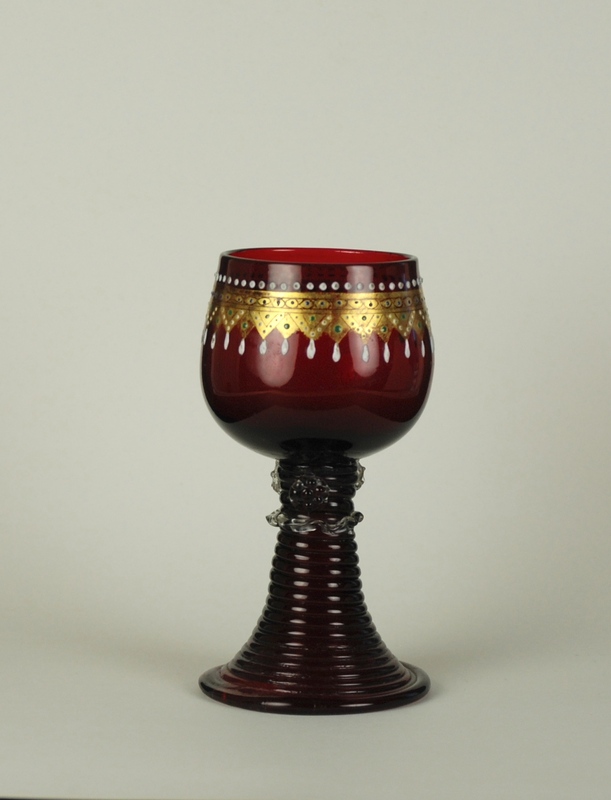 The mouth is a trefoil shape with applied coil and the foot is tooled and splayed.